I've tried to get across a general overview of the trip to the Dominican Republic, but haven't really gotten into particulars yet. The time has come - for shoes and ships and sealing wax, or at least for talking about the specific community SOMOS serves. I described the route to Paraíso and Esfuerzo from Santo Domingo in a previous entry. 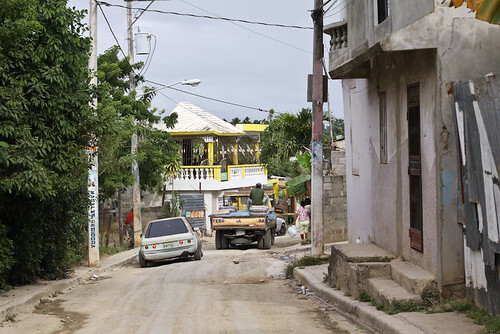 Paraíso is a barrio of the city of Villa Mella, situated North of Santo Domingo. It comprises four smaller communities: Altos, 28, 6, and Esfuerzo. 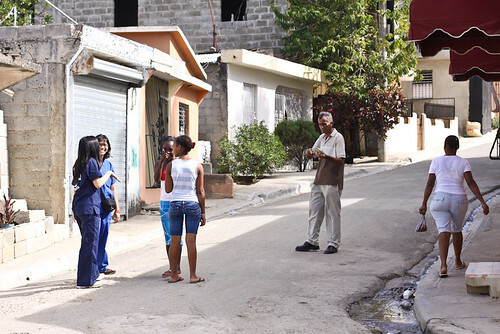 Via conversations with Dr. Aday, my understanding of a "community" in this sense is that in order for a group of people/homes to function as a community and be represented in the Junta de Vecinos, it takes approximately 10 people to declare themselves a community. 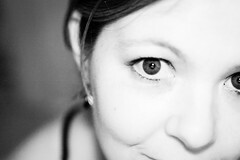 In this case, the communities are relatively geographically distinct, especially Altos and Esfuerzo. 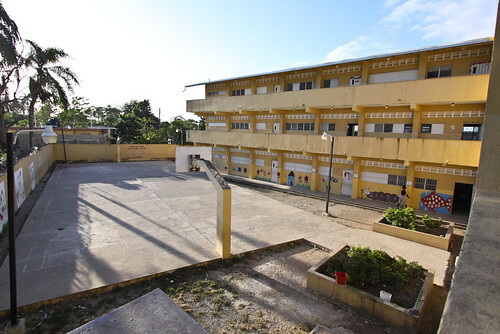 Altos, the most economically privileged (although still very socioeconomically depressed, compared to other Villa Mella neighborhoods), occupies the highest ground and is home to a K-8 elementary school, Escuela Paraíso. 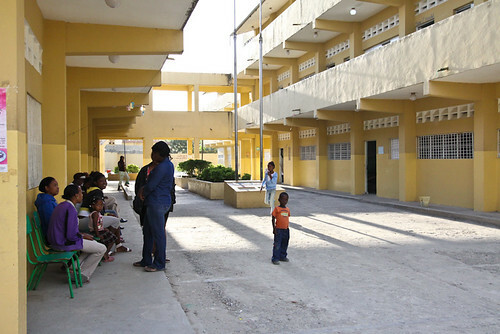 This school is the center of SOMOS operations in the community; it hosts the clinic run by our medical staff and serves as a base for the research teams and housecall teams when they're not in the field. 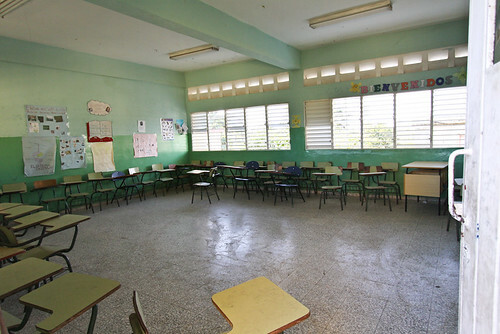 The classrooms are a more minimalist version of those in the schools I attended in California when I was a child. The design of the school felt very familiar to me. All doors open to outdoor walkways. The windows, like most of the windows on the nicer homes in this barrio, are outfitted with shutters but no glass. 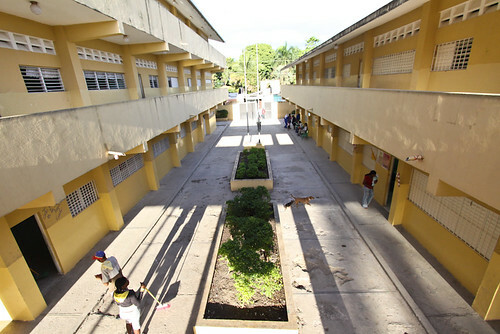 During most of our time at the school, a breeze came from the North through these shutters. The school was not in session while we were there. A friend laughed when I asked if it were "winter break." "I think here they just call it 'Christmas vacation,'" she said. Indeed, the Christian holidays are predominant here - while I believe this is a public school, the room we used for our pharmacy had an area set aside for a nativity and posters on the wall about baby Jesus. 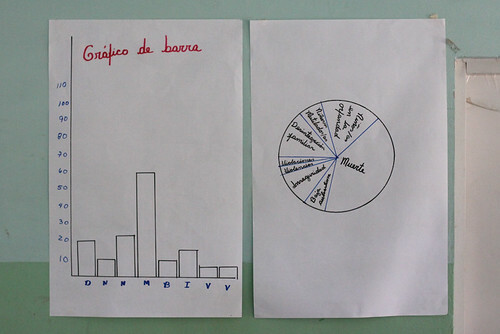 The bar graph and pie chart appear to represent different issues affecting a population - perhaps the children in the school? - including violence, death, being orphaned, and broken families. I wish I knew more about how this poster came to be on the wall, and what the discussions were that surrounded it. What is the community like beyond the school walls? 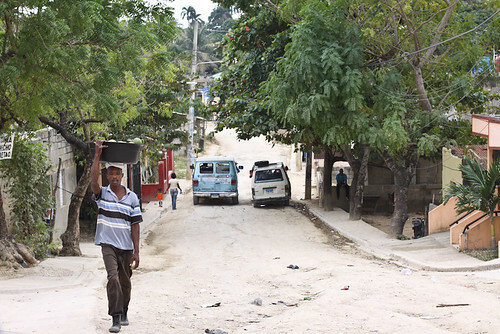 The streets in Altos are hard-packed dirt and occasional pavement, bordered by cement curbs and sidewalks. To the North, the road above descends into Paraíso 28, which I believe is named for the main street running through it. Continuing through 28, one reaches Paraíso 6. 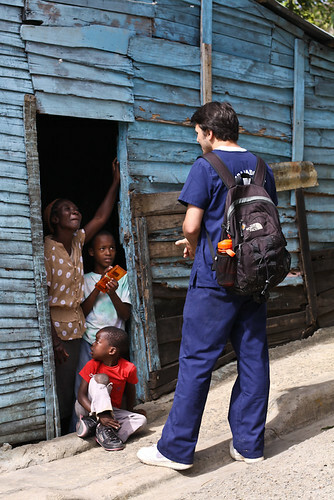 On the first day of the clinic (Monday, Jan 3), I accompanied several students as they invited residents of 28 and 6 to the clinic. The pictures in the rest of this post are from that morning. Most of the homes in 28 and 6 are cinderblock or concrete, especially toward the top of each hill. Homes at the bottoms of hills are typically either cinderblock, wood, or patchworked tin/other materials. Most homes in these two communities and in Altos appear to have electricity and many appear to have running water. Many women were scrubbing their cement floors and patios as we walked through the neighborhoods, with liberal water use, which contributed to my assumption regarding access to running water. The floor-washing appeared to be the source of the runoff in the ditches (below left). Also note the storm drain. This particular hill is among the most developed in Paraíso 6. The blue wooden home (below right) is toward the bottom of the same hill, on the opposite side, heading toward the periphery of the sub-community. One of the characteristics of 28 and 6 that jumped out at me was the amount of garbage on the streets and in yards. Again, altitude mattered: toward the tops of hills, there was not as much, but toward the bottoms of hills and on narrower streets and alleys, there was more accumulation of refuse, mostly in the form of food and food packaging - husks and rinds, plastic bottles and caps, water baggies, metal cans, plastic and foil wrappers, and lots of plastic bags. I also noticed metal hardware, chipped hard plastic, and a lot of broken glass. Most of this garbage appeared to be old - it was tattered and trampled into the dirt, and had become virtually part of the soil. It's surprising to me now how nonapparent this is in the photos, and it impresses further upon me how the trash has been incorporated into the soil. 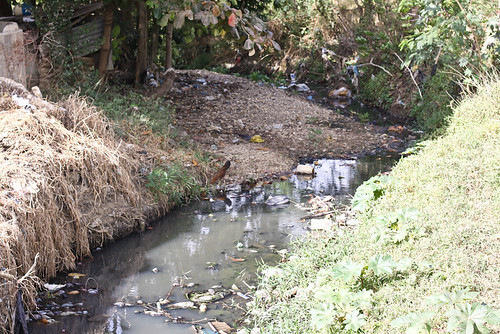 Toward the outskirts of each community, there are larger accumulations of newer trash, and all over the communities, especially toward their peripheries, trash is burned daily. On lower ground, the drainage ditches are full of it. Trash collection is one of the most significant needs of the sub-community of Esfuerzo, as I will detail in a later entry, but even in sub-communities where waste removal is not as difficult as it is in Esfuerzo, trash in the environment is still an issue. During the course of the week, I came to understand that this results in a confluence of many different issues, including access to waste removal resources, concerns about disease, and cultural norms related to litter. Later this week, I'll take us into Esfuerzo proper and elaborate on the most significant concerns of its residents.